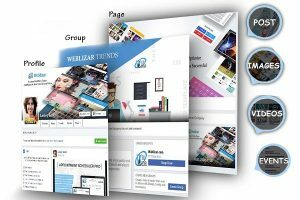 Facebook Feed Pro is a completely customizable, responsive solution to help to display your Facebook feed on your WordPress website. This plugin comes with a number of great features and functionality. Add as many feeds as you want and easily display content from your Facebook Profile, Page or Group in any posts or page using short-codes. 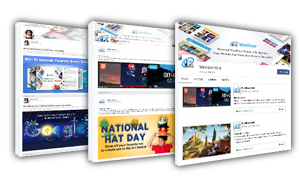 The plugin allows displaying Post, Photos, Album, Videos, Events and More. The Facebook Feed Pro come with the awesome Lightbox feature to display galleries in a pop-up window and number of hover css effects, animation, loading effects. 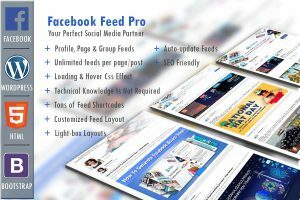 Facebook Feed Pro Plugin offers the number customization options, theme and layout options and more. No matter how much design and technical knowledge you have, you can set-up in minutes and change the plugin to better fit your website.